What Can Your Church Learn from Hotel Impossible? 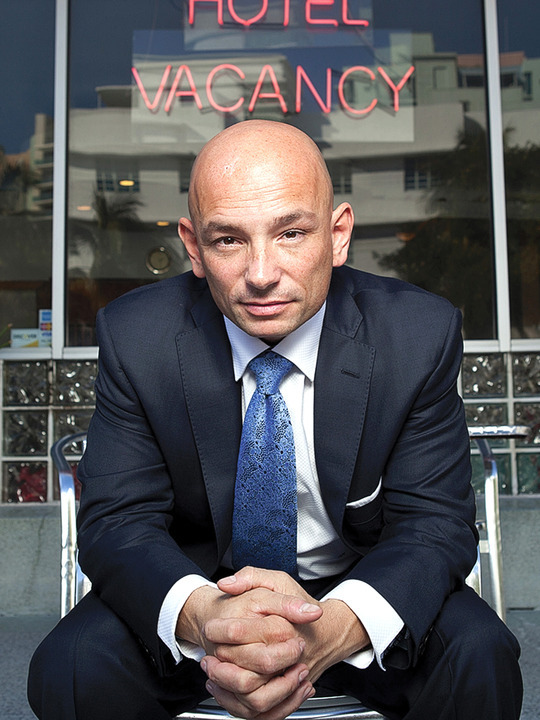 I was flipping through channels on a Monday night when I came across my new favorite show: Hotel Impossible. It's kind of like The Apprentice without Donald Trump's arrogance and big hair. And The Apprentice went downhill anyway after they casted a bunch of celebrities who didn't really have anything to gain from doing a good job. In its best days, the winner of The Apprentice was an established go-getter with business savvy who become Donald Trump's apprentice. 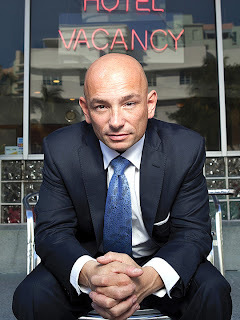 Anthony Melchiorri (that's him in the pic) is the host of the show. I'm very impressed by his ability to walk in, take control of the situation, make the necessary changes, and then hand control back over to the owners of the hotel. It's refreshing to see someone who knows his craft and cares about it enough to help others get better. 1) We have insider slogans that we say, but don't really mean. The front-desk girl was very good: she interacts with the guest, smiles, and speaks clearly. Those things are surprisingly rare in my hotel experiences! But she uses a slogan that means nothing: "World-famous La Jolla Cove." It reminds me of Buddy the Elf walking into the little coffee shop saying, "You did it! Congratulations! World's best of coffee. Great job everybody!" Of course, it's just a saying, a slogan...and it's meaningless. 2) Giving people a bunch of paper and details causes information overload. Here's the map of the hotel. Here's the map of the streets. Here's how you get to your room. Here's how you get to breakfast. Breakfast is served at... You get the point. When I check in to a hotel, I just want to know how to get to the room. What's the next step? I'll ask you when I need information for the step after that. 3) Update the look and feel, but keep telling the story of your past. In a transient society, we value roots and longevity. Things that have staying power carry a sense of dignity because the simple fact that they have lasted this long means that there's something to it. Even though they updated the processes with technology (and renovated the rooms), they kept telling the story of how they started, who they are, and what they do. Let your past energize and fuel your future. Because I work in a church with lots of heritage in it and years behind it, I want to expand on this third idea. The biblical precedent for that is, of course, Hebrews 11. The writer gives a long list of names from the past as a way to energize people to maintain a life of faithfulness into the future. In fact, long before Hebrews 11, we see it happening over and over again throughout the Old Testament. Joshua 24 tells the story of everything from Genesis 11:27 through Joshua 12:24 before he charges them with a responsibility that reaches into the future: "So [on the basis of the past] fear the LORD and serve him wholeheartedly" (Joshua 24:14a NLT). The look and feel need to be updated because their faithfulness will not look exactly like Abraham's. They won't leave the land they're in to go to a land that God will show them; they're already in the land. But Abraham's faith was and continues to be an example from the past that informs and energizes our future (see Romans 4). I wonder what Anthony would say if he walked in to our churches. Obviously different churches have different needs, so he wouldn't say and do the same things at all of them. What do you think he would say and do at your church?